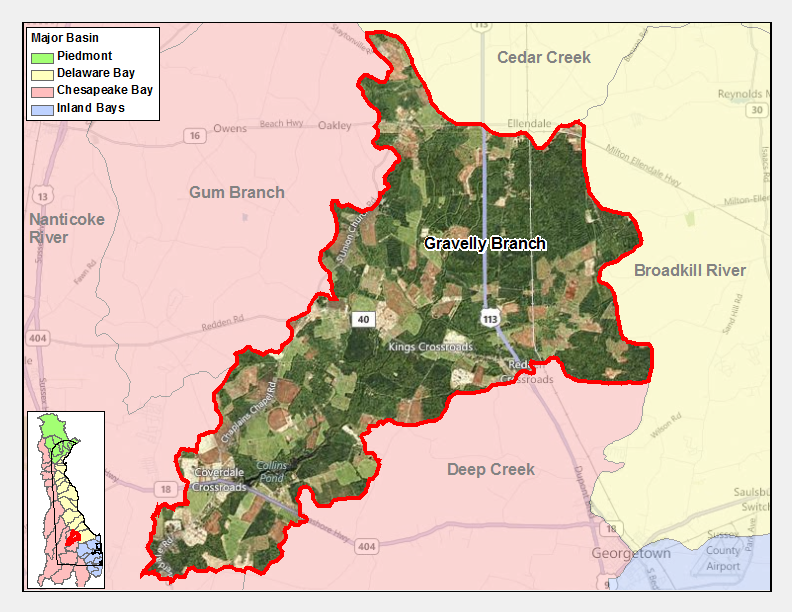 Gravelly Branch Watershed is part of the Nanticoke River Drainage Basin. Gravelly Branch Watershed supports extensive submerged aquatic vegetation beds that are used for fish spawning, cover, and nursery areas for fish like sunfish. Siltation caused by shoreline development and destruction of shoreline buffers is a major destructive factor, killing submerged aquatic vegetation beds and smothering egg masses that are within the beds. This type of alteration would severely affect shellfish, plant, and fish species by direct take, and by alteration of spawning, nursery, and feeding habitat. 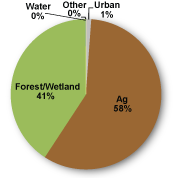 Nutrients (phosphorus and nitrogen) and bacteria are problems in the Gravelly Branch Watershed. The Gravelly Branch TMDLs require a 3% reduction in bacteria loads, a 30% reduction in nitrogen loads, and a 50% reduction in phosphorus loads. EPA established a Total Maximum Daily Load for nitrogen, phosphorus, and sediment for the entire Chesapeake Bay Watershed. This TMDL requires reductions of approximately 24% for nitrogen and 20% for phosphorus between 2009 and 2025 from all of the Chesapeake watersheds within Delaware. Sediment loads from Delaware's portion of the Chesapeake must remain at 2009 levels under this TMDL.